The surprise release of “The Cloverfield Paradox” on Superbowl Sunday caused a buzz, but does the Netflix exclusive score big or is it a franchise fumble? Super Bowl Sunday was exciting for more than just a game. 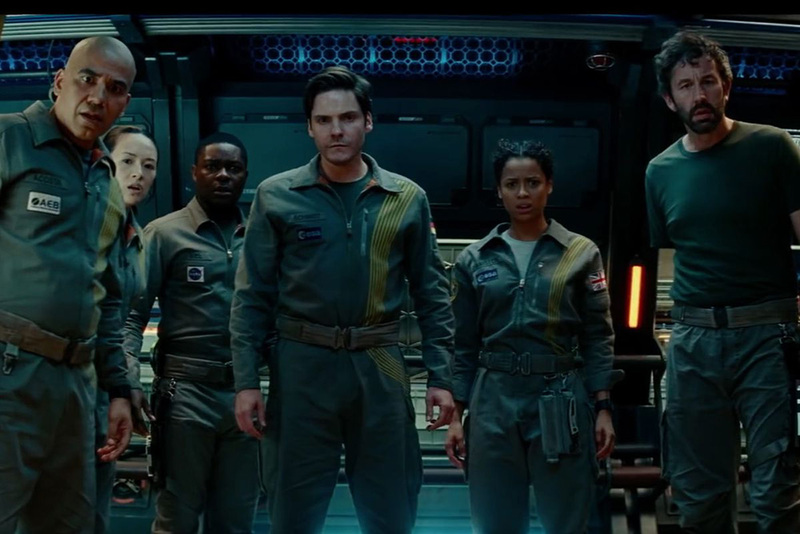 During one of the game’s commercial breaks, a trailer for THE CLOVERFIELD PARADOX, the latest entry in the CLOVERFIELD franchise, played and announced that it would be premiering on Netflix Streaming as soon as the game ended. My social network feeds lit up with an excitement not generally reserved for a movie that is, essentially, being dumped, by Paramount, unannounced on a subscription streaming service. But there is hope, because services like Netflix, Hulu and Amazon Prime have been creating some exciting first-run movies and television series. The big questions are: 1. Can THE CLOVERFIELD PARADOX give fans the promised answers to the appearance of the monsters and link the movie; and 2. Will this newest entry be as good as the first two movies? We are now at a point where we will need some sort of graph to keep the timelines straight. 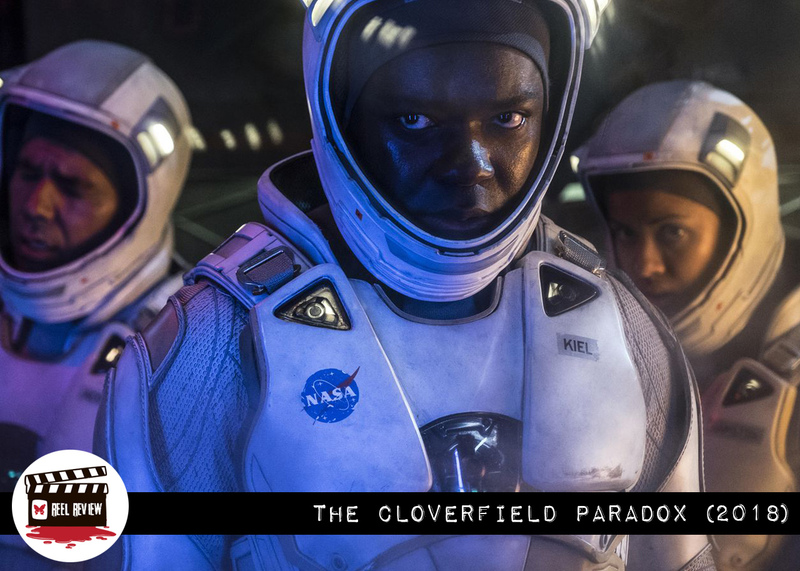 It seems that THE CLOVERFIELD PARADOX is set in the future during a time when Earth’s ability to create energy is dwindling. To find a new and renewable form of energy, a space station named Cloverfield is in orbit preparing to initiate a piece of machinery called The Shepherd. The Shepherd is a particle accelerator and will either create an infinite amount of energy to the people of Earth, or rip open holes in the space-time continuum leading to all manner of horrors, beasts and demons invading Earth. This being a CLOVERFIELD movie, you can guess what happens. On the Cloverfield Space Station is a group of multi-national astronauts/scientists. They come from the United States, German, Russia, China, and the United Kingdom. Not only is the Earth low on energy sources, but a war is brewing between Germany and Russia, which adds to the tension on the station. Ava Hamilton (Gugu Mbatha-Raw) is a technical engineer for the project who has been invited to join the crew when the space station active. Ava and her husband Michael (Roger Davies) are struggling after the loss of their children, and he encourages her to go and save the world. The assignment is initially supposed to last two weeks, and it ends up lasting more than two years after multiple failed attempts to start The Shepherd device. Eventually, the crew gets the particle accelerator working, but a seemingly stable beam of energy leads to an overload of the space station. The crew finds that the Earth has disappeared, or seemed to have disappeared. But worse, they soon learn they have opened up a schism to an alternate dimension which was merging with their reality. Chaos soon erupts as the alternate dimensions interact with each other in a way that was best described by critic John Squires as EVENT HORIZON lite. It is pretty well known by CLOVERFIELD fans that this new entry started as a movie called THE GOD PARTICLE, and it was later repurposed for THE CLOVERFIELD PARADOX. It’s a potential problem, as fans have seen what that kind of repurposing of scripts has done to the long suffering HELLRAISER franchise. But in this case, I felt it worked out well in giving fans an explanation on how the monsters arrive on Earth. The introduction of alternate dimensions also explains why the characters in 10 CLOVERFIELD LANE didn’t seem to have any knowledge of the monster from the first movie. Sure, it’s a bit of a stretch even using suspension of disbelief, but I found it a pretty easy concept to swallow. Director Julius Onah and screenwriter Oren Uziel bring some interesting ideas to the CLOVERFIELD universe, or multi-verse if you will, but it’s pretty easy to see why Paramount might have been nervous about releasing this film into theaters. 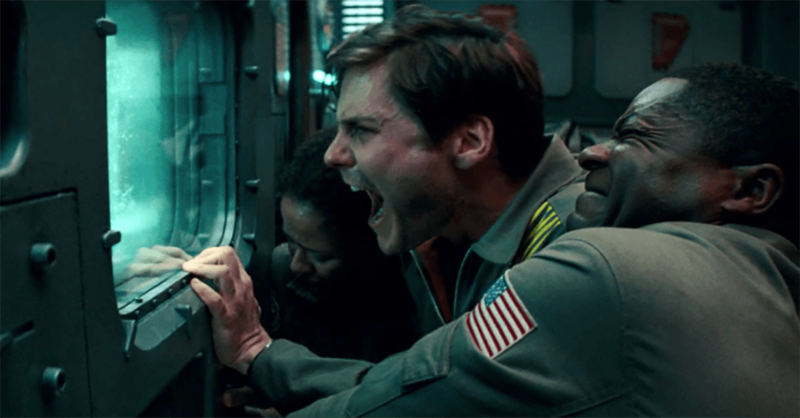 THE CLOVERFIELD PARADOX does have a straight-to-video feel, but that’s not necessarily a bad thing in this case. I was never bored watching it, and I was thoroughly entertained by the scenes on the station as the effects of the merging dimensions affect the station and the crew. While not of the quality of CLOVERFIELD or 10 CLOVERFIELD LANE, this newest entry into the series is a solid and entertaining sci-fi/horror flick. I look forward to the fourth CLOVERFIELD movie, which is purportedly set in the early 1940s (no release information is available at this time).